NCP President Sharad Pawar said that PM Modi is otherwise "alright" but turns hysterical during elections. New Delhi: Nationalist Congress Party (NCP) chief Sharad Pawar on Sunday said that Prime Minister Narendra Modi is otherwise “alright” but turns hysterical during elections. 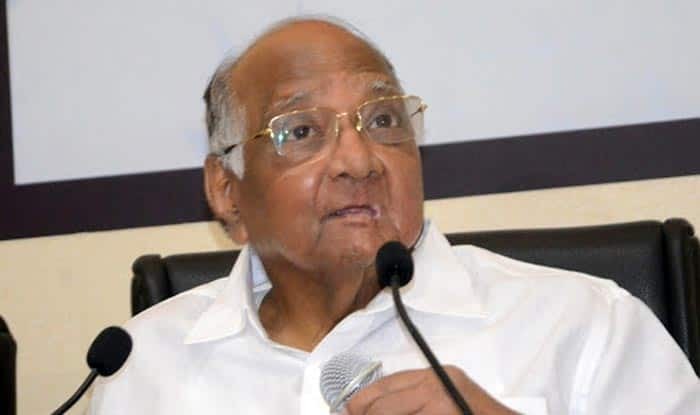 The NCP leader also criticised PM Modi while asking his party members not to make personal comments as “PM himself has taken the responsibility to make personal comments”, Pawar said sarcastically. “Don’t make personal comments at all. When the PM himself has taken the responsibility to make personal comments, why do you need to do it? He’s coming to Baramati on 10th, you can watch on TV what he says,” Sharad Pawar said while addressing his party workers in Pune. Taking a dig at PM Modi for making remarks on his relations with his family, Pawar said, “How did Modi come to know about any fights in (my) family? We all live together lovingly. We all work in different fields. When I meet him (Modi), I will tell him that my entire family is together and united”. Referring to PM Modi, he said the country did not know whether that person has anybody in his family or not. “That person should not talk about other’s families. It is not good to talk about someone’s house. I will tell him (Modi) when I meet him that if he does not become PM again, he will be an MP and I will also be there (in Parliament ),” Pawar said. The veteran politician also said he and Modi enjoyed “good relations”. “Everybody knows what he spoke about me in Delhi, in Baramati and at Vasantdada Sugar Institute in Pune. You know one thing about this man. Usually, he is okay, but when there are elections, he turns ‘hysterical’ (angat yete) and he starts speaking anything, so there is no need to pay heed to that,” Pawar said in Marathi. Attacking the BJP, Pawar said that maximum attacks on India have taken place when the BJP is in power. “The (Kandahar) plane hijack happened under the BJP government, so did the attack on Parliament in 2001. Similarly, the attacks on Akshardham temple (in Gujarat in 2002) and recently in Pathankot also happened when the BJP is at the helm,” he said. Earlier in September 2018, Sharad Pawar came out in the support of the ruling government over the Rafale deal, saying people do not have doubts over Narendra Modi’s intentions. In an interview to a Marathi news channel, former Defence Minister Pawar also said the opposition’s demand to share technical details relating to the fighter jet “made no sense”. But he also said that there was no harm for the government to disclose prices of the aircraft.